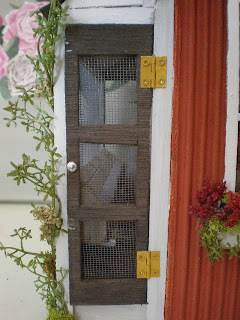 The Primitive Style Pumpkin Saltbox Farmhouse with Chicken Coop is done. 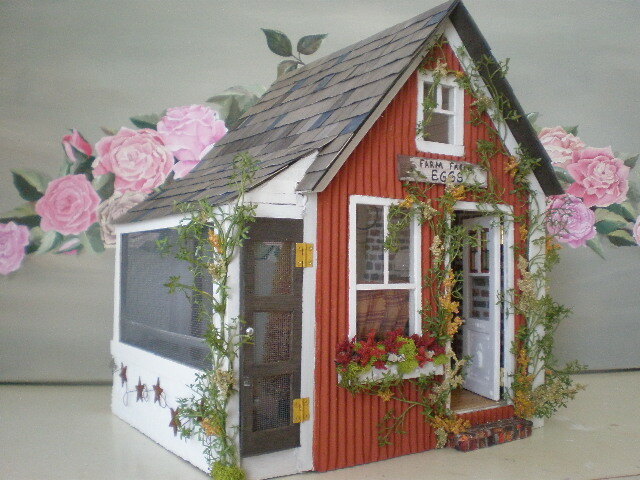 This is a completely custom, one of a kind, signed dollhouse. 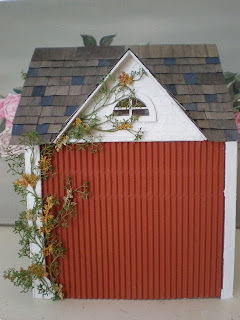 I changed the front door! It used to be purple. But I think this cream color is much softer. 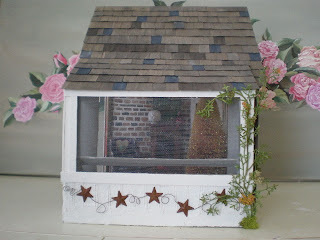 I also painted in the top window panes with a stained glass look. Above the door hangs the worn farm fresh eggs sign. I made this flower box with left over pieces of wood. 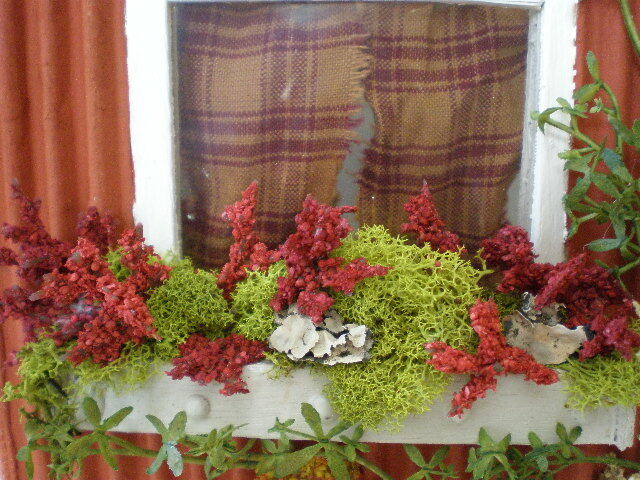 It's painted taupe and filled with moss and red flowers. 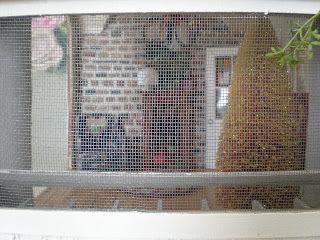 The chicken coop screen door. This is the chicken coop side. 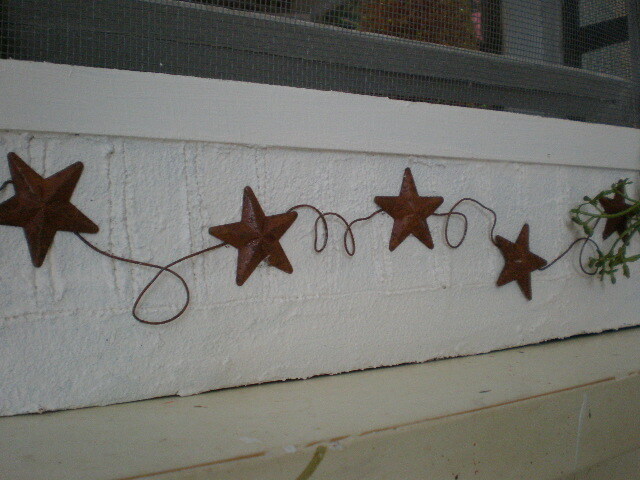 I added a few rusted tin stars on a rusted wire. I found these at Hobby Lobby. It's a little garland for a tiny Christmas tree. 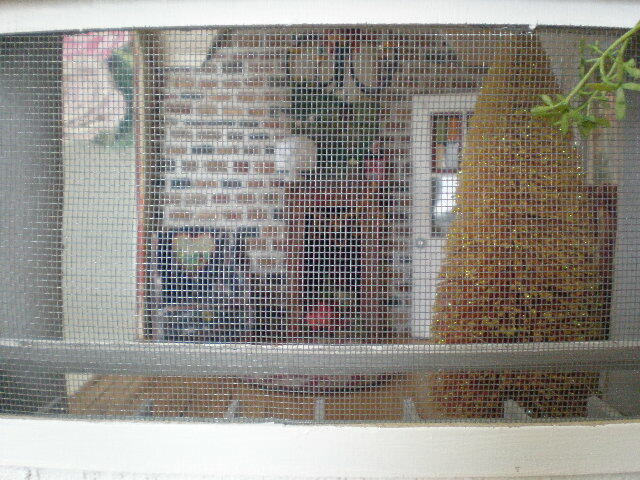 The view through the screen of the chicken coop. The roof is aged brown and I added deep blue shingles here and there. 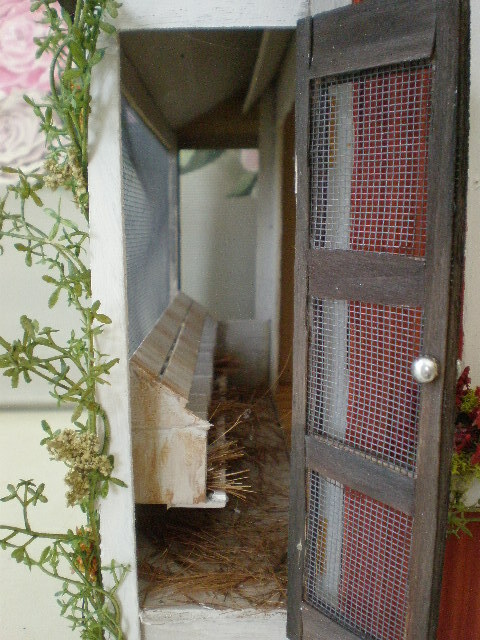 And here is the interior. 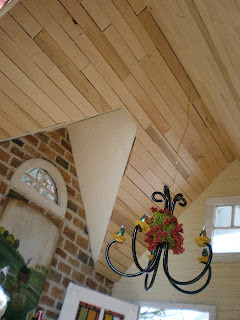 It has aged yellow pinewood plank floors with a little braided rug. The ceiling has an unfinished color wood slat ceiling. One wall is bricks, hand sculpted. 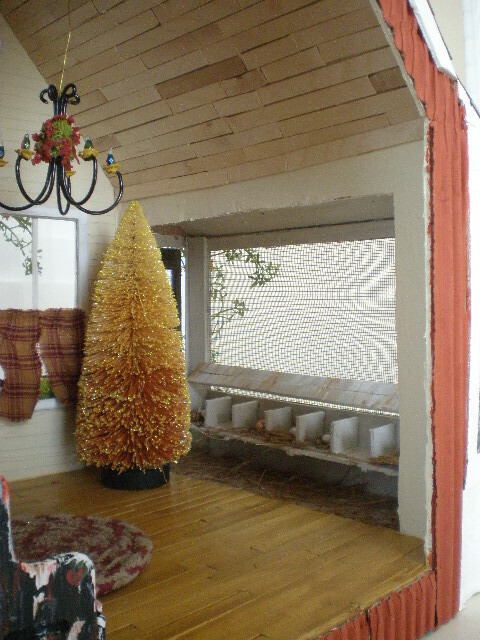 The other wall is plaster sculpted as wainscoting. The other two walls are plaster painted in a golden butter color. 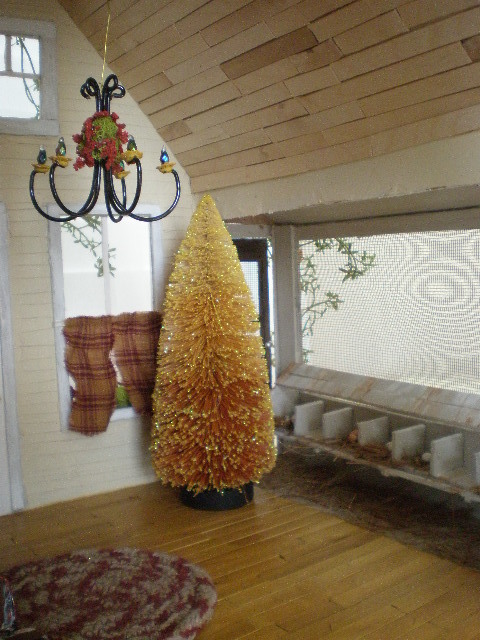 I put the bottle brush tree near the window. 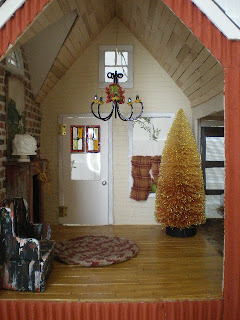 It has graduated colors from orange to yellow and is covered in glitter. 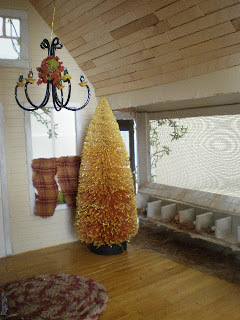 I made this chandelier from wire, beads and finished it with moss and red flowers. I put in my little fireplace mantle and accessories including the cake with bunting, little saltbox paper house and had painted picture of a primitive agricultural scene. Very Americana! 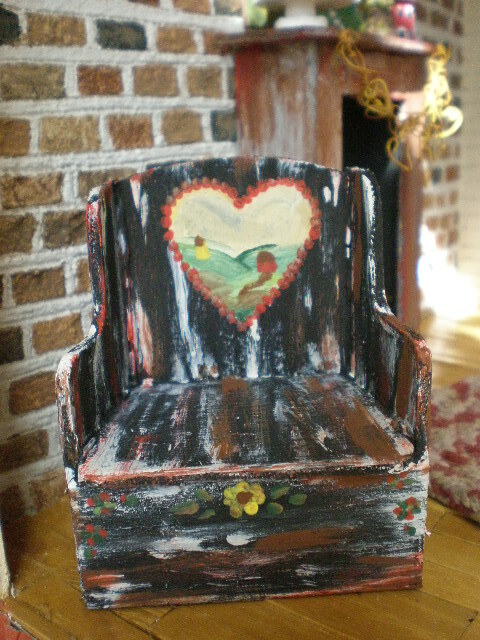 I painted this bench chair to look rustic with another little scene in the heart. Layaway is available. Payments accepted are checks and PayPal. This house is 14" across x 13" deep x 15 3/4" tall. The interior is 13 1/4" across x 11 1/4" deep x 14" tall. Very beautiful! I loved it! excelente!!! seguro ya la tienes reservada!!! felicitaciones, es muy bonita! This came out so darling! 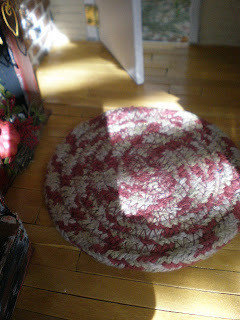 I LOVE your photos with the dappled sunlight! It makes it look so realistic! Do you ever sleep? LOL You amaze me.....you put these projects of yours together so incredibly fast!!!!! I love the chicken coop part of the building too! GORGEOUS! Geez, I thought it was finished in an earlier post this week because it was so pretty then. But now? Out of this world! I just love everything. Especially the inside. Love that bench the best!!! 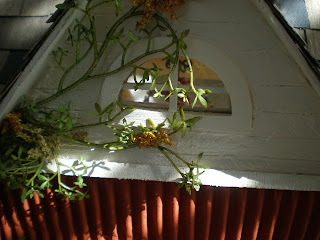 Oh, and the chandelier with the red flowers too! Very beautiful ;-) Amazing ;-)!!! I'm only a few days away, and voila a whole new house, ready to move in. 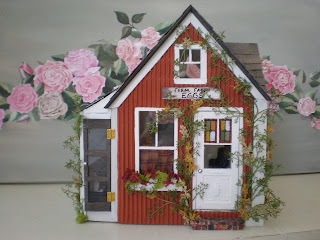 You are a real fast worker, and it became soooooooo lovely, what a warm and cosy little house you made, full of unexpected things. 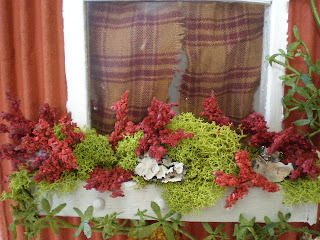 I like the colors you used very much, it is a bit like fall. Un fantastico trabajo, como siempre. Y me fascina como puedes hacerlas todas tan diferentes y tan fantasticas. oooo this is unbearable! your performance, your imagination and your sudden final touches that often change everything what we waiting for! It's two times I was pleasantly deceived! 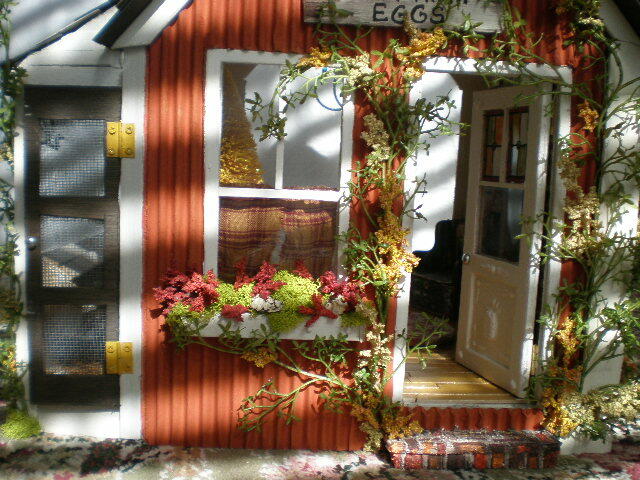 I absolutely did not like the idea of ​​Frogs House and Eggs Home in their start and I wanted so that they were quickly finished. But after seeing the result I admire and admire! That is putting the finishing touches suddenly change everything. It's a talent! Que trabajo tan bonito!!!! 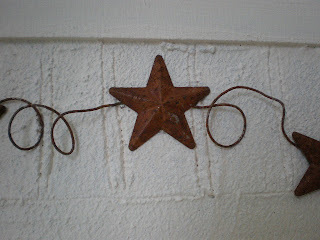 me encanta tal cantidad de detalles y todos tan bien realizados!! Ohhhhhhh gooooooodness Caroline, I want to scream cuz this one is just so cute!!!! 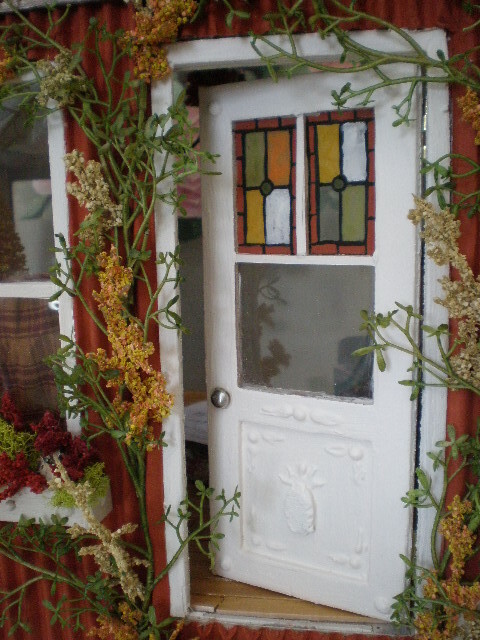 I love the door, so much detail!!! What a great imagination you have, this is SUCH fun! As usual lots of fabulous, appropriate detail. Another unique creation, Caroline. It looks marvelous! 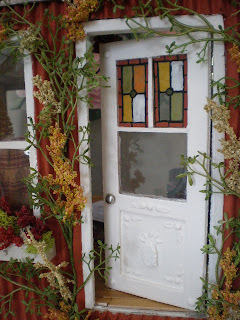 I love how you finished the front door with the stained glass and the appliques. 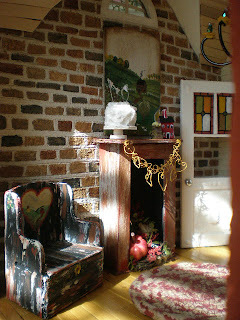 The colours are so cheerful and the interior is full of pleasant little surprises. How fortunate is the person who gets it! Such a delight to look at! Ok, putting my house on the market and buying yours to move into as soon as I find a shrinking ray gun for me! Oh My, and Wow! 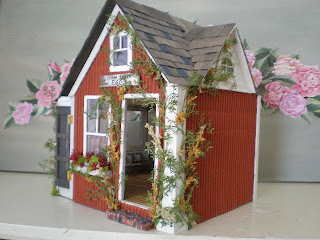 Your custom farmhouse is totally amazing! 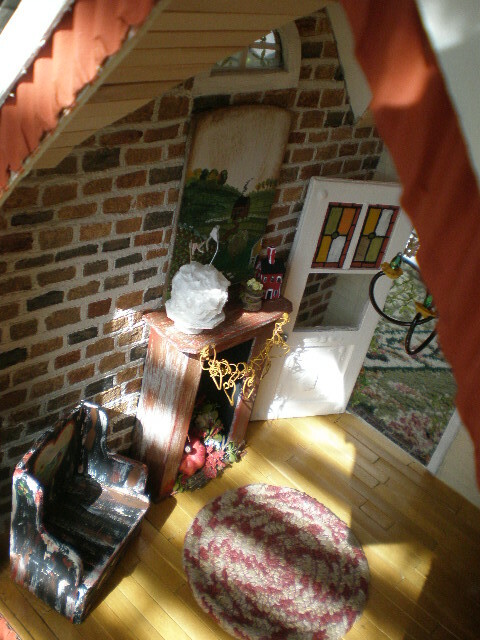 All your creative details are outstanding. 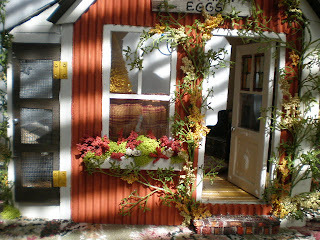 Who ever gets this house is going to be so delighted. 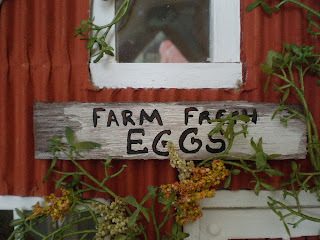 I have had a dream my whole life to live on a farm and raise chickens! Lol! 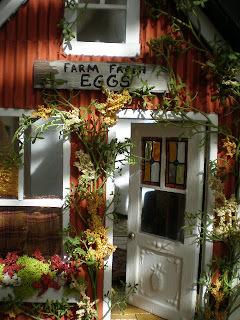 So your farm house here with the coop really thrills me! Caroline, again you have left me gobsmacked! This is so sweet. I LOVE all your special little touches and tiny intricate details. This is adorable, Caroline! 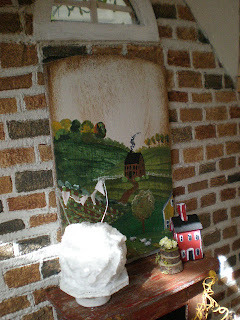 I love the little house on the fireplace mantle! 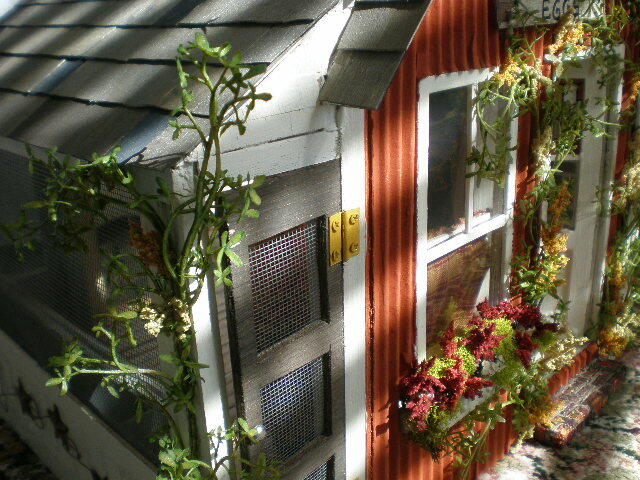 The chicken coop is so sweet too! Caroline, es preciosa. 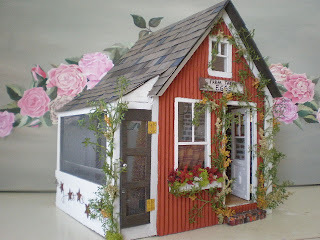 ¡Qué casas más maravillosas haces! Son para enamorarse de ellas. Ya estoy deseando ver lo próximo que vayas a hacer, seguro que será otra maravilla. Another job well done! I love fall and you've captured it perfectly!